It was a starry night at Deepika Padukone and Ranveer Singh’s wedding reception on December 1. The big names from Bollywood who attended the bash included Amitabh Bachchan, Shah Rukh Khan, Rekha, Jaya Bachchan, Katrina Kaif, Disha Patani, Malaika Arora, Arjun Kapoor, Karan Johar, Janhvi Kapoor, Anushka Sharma, Hrithik Roshan, Shilpa Shetty, Rani Mukerji, and many more. For the event, while Padukone opted for a dress by Lebanese designer Zuhair Murad, with a veil in all red, Singh went for a black tuxedo by Rohit Gandhi and Rahul Khanna.
. The rapper, who had specially flown down to Mumbai to attend the couple’s reception, once ruled Bollywood music industry with his exceptional music and inimitable style. The singer looked unrecognisable with his long hair, thick beard and some extra weight. He was seen wearing a heavy gold chain, red glares and a bracelet. The ace musician has been absent from the industry for some time now. While talking to media, he had said that he had been suffering from problems like bipolar disorder and alcoholism. Honey Singh attended the party in a black attire and was clicked with the close friends from Bollywood. Earlier this year, Honey Singh made a re-entry into the Bollywood music with a song titled Dil Chori Sadda Ho Gaya, for the Kartik Aryan-starrer Sonu Ke Titu Ki Sweety by the makers of Pyaar Ka Punchnama. The party number saw 350 million views on You Tube. In the past, the singer has delivered massive hits like Brown Rang, Angrezi Beat and Lak 28 kudi da among others. He last featured in the 2014 music album Desi Kalakaar. While Singh was absent from the scene, other rappers had gained prominence in Bollywood. 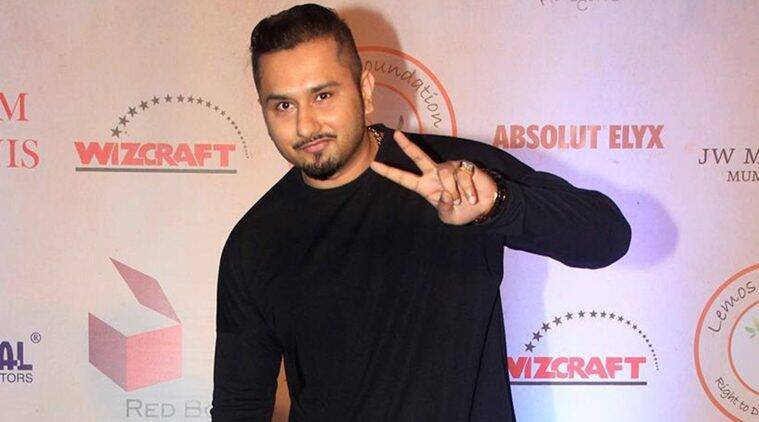 After a gap of four years, Honey Singh is also seen coming up with his single music video under the label of T-Series. Suresh Raina Apologizes To Ambati Rayudu For His Weird Run Out. Rayudu’s Reaction Was Of A Real Sportsman!